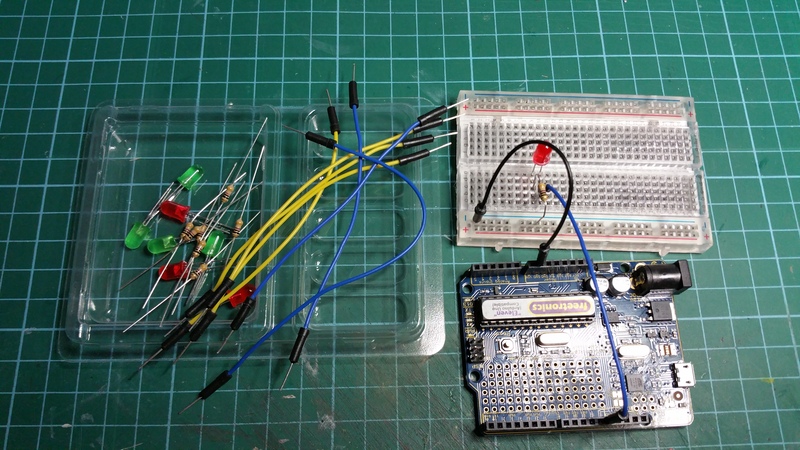 Electronics – the second project! I made a red LED flash. 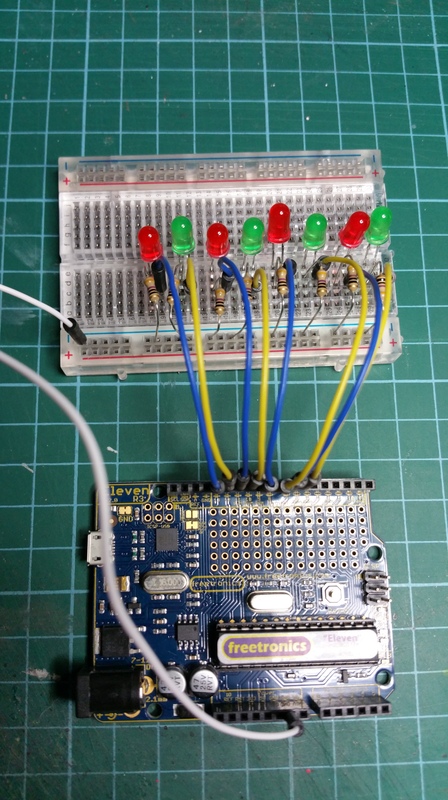 The next project was to make a series of 8 LEDs flash – in sequence up and then in sequence down. The programming for this was still simple. It got more complicated when I was playing with the code to make just the green LEDs flash, then just the red. I reprogrammed to all the lights come on, in sequence, then go off again in sequence. That coding was a little more challenging. Still, I am learning a bit about circuits and I guess I am halfway back to remembering how to code in C.
Next project I think will have some switch built in, so that I can turn the thing on and off. Each of the circuits gets just a little more complicated as does the coding so it is a good learning process. And now … watch the little lights flash. Nice! I also did some electronics work a few years back using some Gibson (GSS) Tech kits. On an unrelated note, thanks to your feedback I took the plunge and bought Japanese and British GHQ and Heroics and Ros 6mm models, along with some terrain hexes! Oh good luck mate – that’s you kept busy for the next month or so. Both GHQ and Heroics and Ros have good reliable mail order – you’ll be opening packages soon and you’ll be able to see why the price differences between the two firms but rest assured, the H&R look fine when the paint is on.